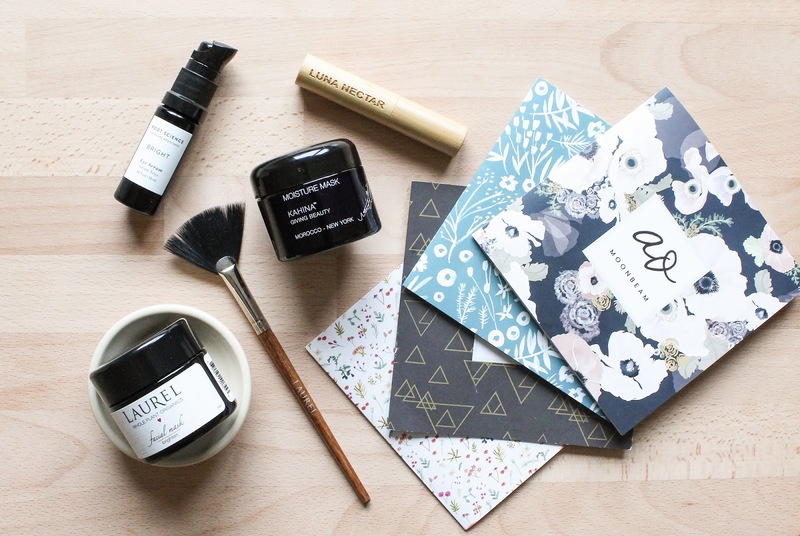 I've reviewed Beauty Heroes' and Boxwalla's beauty boxes of last year and I just wouldn't feel right if I wouldn't also mention Art of Organics, which is yet another beautiful subscription box delivery service. I'm so grateful and so lucky to be working with all of these Ah-mazing beauty boxes and it was literally a dream come true when Claire of Art of Organics also asked me to be one of their brand ambassadors. LOVE. I've only been receiving their boxes for a few months but I think they are most definitely worth mentioning, even though I only have four to share. September's Clean Beauty Box BRIGHT* was my absolute favourite! I mean how could it not be, featuring the stunning Laurel Whole Plant Organics. I couldn't have joined at a better month. Laurel WPO is truly a stunning and wonderful brand and I love everything they stand for. Plus their products are so amazing and effective. Natural & organic skincare on a whole other level. 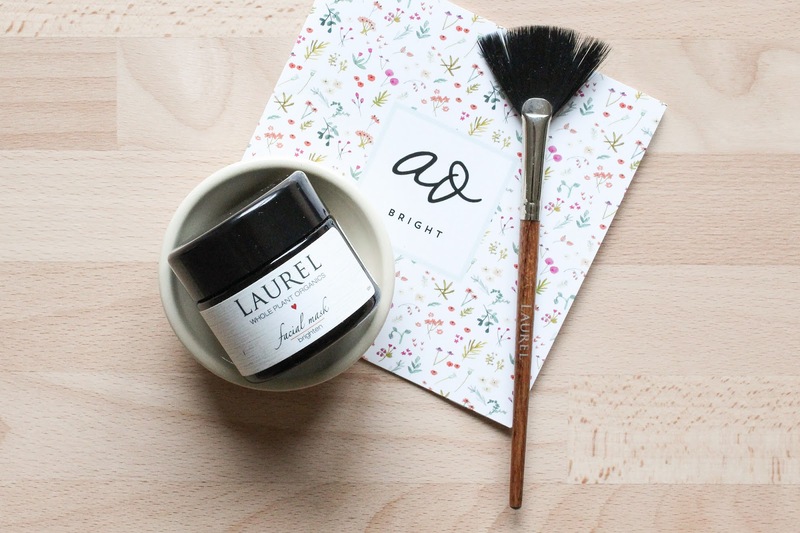 So the box was all about creating that perfect, spa-like masking ritual with Laurel's Repairing, firming + brightening mask named Brighten, and Handcrafted Mask Bowl & Brush. I wrote a whole post dedicated to this box, you can check it out here. Let me just say that this mask works so amazingly well and really brightens up the skin like nothing else. I couldn't believe it actually. And I wasn't the only person who experienced such wonderful results. The mask is perfect for treating hyperpigmentation spots, if you have scarred and sun damaged skin, and mature. It's actually great for everyone because it's full of vitamin C and what is not to love about that? Brightening, repairing, firming. It's everything it promises to be, and more. And the mask and brush? I've been using both for every powder mask I use. Love them so much. 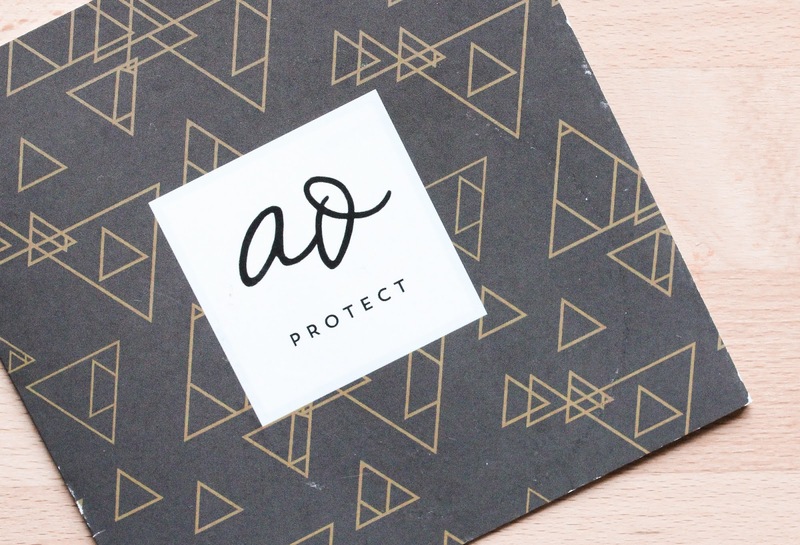 Get the mask here (AO members have 15% off). October's Clean Beauty Box PROTECT* beautifully followed up the previous box, continuing brightening the skin with Brighten Up Vitamin C Serum from Ursa Major. I loved this lightweight, quickly absorbing serum with hydrating and brightening benefits. It's not as brightening as the Laurel's mask is, but a beautiful serum nonetheless. The second product from the box was the Lush Balance Toning Mist from Akar Skin. This was a nice toner with Rose and Neroli Water as the main active ingredients and I liked using it. Check out my review here. November's Clean Beauty Box SOOTHE* featured three products. First was the Bright Eye Serum from Root Science which is a lovely soothing serum packed with gorgeous botanical oils, like Prickly Pear, Argan, Baobab and more. There are 20 of them. I love that it is an oil formula which I tend to prefer, especially in my evening skincare routine. I can't say a whole lot about how it performs under my eyes because I would need to use it longer and more consistent for that. But when I do use it (as of yesterday I have three eye serums - each one from three different beauty boxes), I find my skin to be hydrated and lovely looking. I don't have any problems using oils under makeup and for me a little bit of the serum under my concealer works perfectly well. Next one was Botnia's Daily Face Cream which I gave to my mum, cause I didn't care for the Emulsifying Wax in the cream. Lastly we had Cactus Milk Bath from URB Apothecary. This was a very soothing and softening bath powder with Coconut Milk and Colloidal Oatmeal. I liked it. 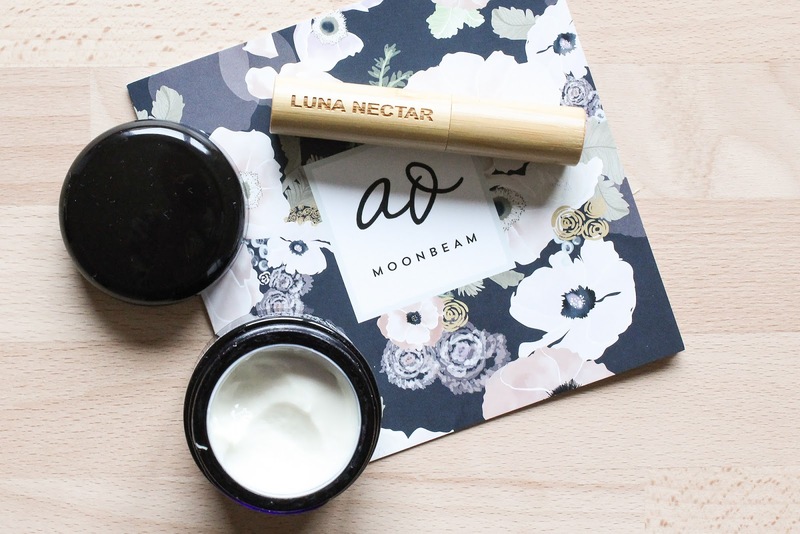 December's Clean Beauty Box MOONBEAM* was another hit with many AO subscriber, including me. This one sold out so fast! With just two products, this box wax valued at a whooping $163. For me both products are star products of this box. 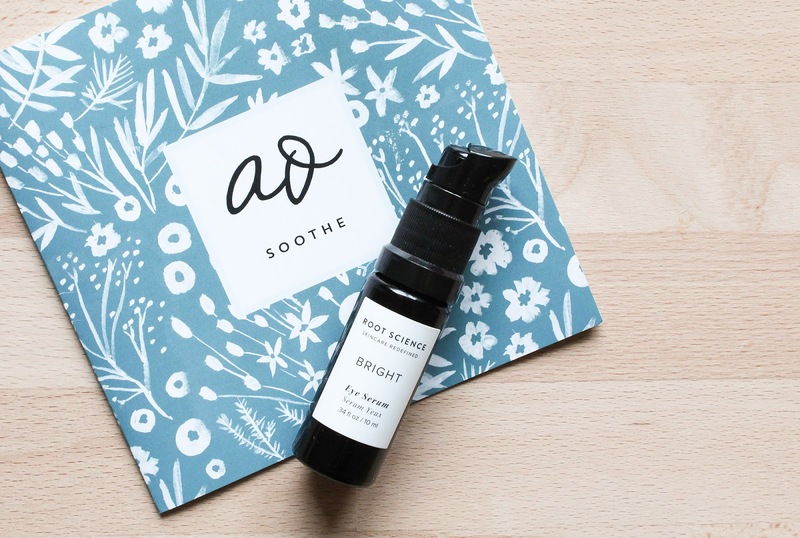 I love that AO boxes include very well known brands in the green beauty community and smaller, indie brands as well. The mix of both in this box is gorgeous. First we have the Moisture Mask by Kahina Giving Beauty. This is my third product from Kahina and yet again I will have to describe their product as soothing and anti-inflammatory. It also reduces redness, which I noticed the morning after my first use. It's lush, hydrating, repairing. A beaut! Second product of the box is Moon Boost Lash + Brow Enhancing Serum from Luna Nectar. I've never heard of this brand before but I've always wanted to try a lash and brow serum. Moon Boost comes in a bamboo packaging and is bursting with Aloe Vera, Castor & Argan Oils, Red Clover, and more. Designed to moisturize the roots and trigger length and thickness. Of course I didn't took any before photos but I do think my brows are looking a bit thicker and nicer. As for my eyelashes go, I don't think there's any change yet. I know Trish had amazing! results, Nic as well, so I'm excited to use it for longer and see how it works for me. Done and dusted. I'm ready for a new year of Art of Organics boxes, but those will start again in February. January is a detox month for Art of Organics as they decided to give the subscribers a chance to catch up on our fave products, take a breath from the somewhat overwhelming holiday consumerism and just enjoy what we have. Another reason they've decided to put a short pause is so that Claire and her husband can fully embrace new parenthood and enjoy every second of their brand new baby's life. I fully support and respect their decision! For the end of this post I wanted to also mention my love for the beautiful prints on the cards. Each month Art of Organics features the artist who created the print and I really like that. If I have to choose I would go for the last one, the December print made by Khristian A. Howell. I would love to have a dress in this print! That's all from me today. I hope you enjoyed reading this and the last two posts. I highly recommend all three subscription boxes and for the life of me I can't and I won't decide which one of them is my favourite. Each is special in their own way and I love all three of them very dearly. Read more about Art of Organics in this post. Check out their website here and subscribe for their February box here.